Students, faculty, staff and even community members have the ability to save up to $100 on health services from 10 a.m. until 3 p.m. Wednesday, April 15 in Parking Lot A. 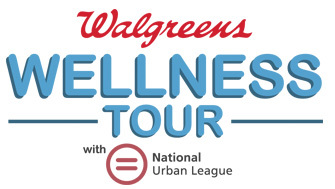 The Walgreens Way to Wellness Health Tour will be on campus to help improve the health of people in the community by offering free health services from their tour bus. “They’re going to do total cholesterol, glucose, blood pressure and a complete weight assessment,” said Angie Christopher, Human Resources vice president. In addition to saving money, people will also be saving time. “…it’s about $100 worth of testing that will be not only completed at the station, it takes about 20 minutes, but they also will review the results with each person,” she said. Christopher said walk-ups are welcome and the only requirement is for participants to be over the age of 18. A small part of Parking Lot A will be closed from midnight until 6 p.m. on April 15 to accommodate the bus. For more information about the Walgreens Way to Wellness Health Tour, visit www.waytowelltour.com or contact Christopher at 405-682-7890.